The International Association of Geomorphologists (IAG/AIG) offered 2 grants of 300 (three-hundred) Euros to PhD STUDENTS in GEOMORHOLOGY from EUROPE (except UK) who were willing to take part in the BSG Post-Graduate Training Workshop (Windsor, UK, 4-8 December 2017). The selection of candidates has been carried out by a Commission appointed by the IAG. 11 eligible applications were received for the grants available. According to the recently established IPA-IAG Agreement, the International Permafrost Association (IPA) offered 2 travel grants of 300 euros to Early Career Researchers to take part in the 9th International Conference on Geomorphology (ICG2017) on “Geomorphology and society” (New Delhi, India, November 2017). The International Association of Geomorphologists (IAG/AIG) will cover the costs for Registration Fee to the grant winners. The grants are devoted to support the active participation (oral or poster presentation) of 2 early career researchers* whose interests intersect with those of the two associations, generally in the area of glacial and periglacial research. The submission and acceptance of an abstract and the active participation in the conference (with oral or poster presentation) are mandatory to receive this support. Early career researchers based in the organizing country for the international conference were not eligible for this support. The selection of candidates has been carried out by a Commission appointed by the IAG and IPA Executive Committees. 10 applications were received, among which 6 eligible for the grants available. The Conference on Geomorphology will take place in New Delhi at Vigyan Bhawan. Organized by the Indian Institute of Geomorphologists and open to all scientists and practitioners, it will include scientific sessions, keynote lectures as well as a special Session and an Intensive Course for Young Geomorphologists dealing with ‘Geomorphology Field Training in tectonically active mountain regions’, co-sponsored by the European Geosceinces Union (EGU). Field trips will be arranged in various parts of India and neighbouring countries, before, during and after the Conference. *An early career researcher is defined as an individual currently enrolled as a student in a post-secondary institution or having completed their most recent post-secondary degree within the last six years and not holding a tenure-track or tenured professorial appointment. The International Association of Geomorphologists offered 2 grants of 250 euros to favour the participation of Young Geomorphologists (under 35 years old) worldwide (except Romania) in the Workshop organized by the IAG SEDIBUD (Sediment Budgets in Cold Environments) Working Group on the “Relationships between climate change, vegetation cover and sediment fluxes in high latitude/high altitude cold environments“. The 11th IAG/AIG SEDIBUD (Sediment budgets in Cold Environments) Workshop was held on 5-8 September 2017 at the Research Base of the Babeş-Bolyai University (UBB), located in Baru (Hunedoara County, Romania). It brought together researchers from various scientific fields with special interest and studies concerning the sediment transfer processes and budgets under changing climate and vegetation cover conditions in high latitude/high altitude cold environments worldwide. A one-day field trip was organized in Parâng Mountains (Southern Carpathians), aiming at introducing the participants within the morphoclimatic context of the alpine areas in Carpathians. Several sites with past and contemporary geomorphic process activity (rock falls, rock avalanches, debris flows, snow avalanches, periglacial activity etc.). The participants got also an overview of the complex interactions between the sediment transfer processes and the mountain ecosystems (alpine meadows, subalpine shrubs and coniferous forests). The selection of candidates was carried out by a Commission appointed by the IAG Executive Committee. 4 eligible applications were received for the grants available. The International Association of Geomorphologists (IAG/AIG) offered a number of grants for YOUNG GEOMORPHOLOGISTS (under 35 yrs old) to take part in the 9th International Conference on Geomorphology (New Delhi, India, 6-11 November 2017) and related Intensive Course for Young Geomorphologists (Indian Institute of Remote Sensing, Dehra Dun, India, 12-17 November 2017). The grants are offered to Young Geomorphologists from less-favoured countries worldwide (with a Purchasing Power Parity below 21,000 international dollars, according to the World Development Indicators database, World Bank, revised 11 October 2016). 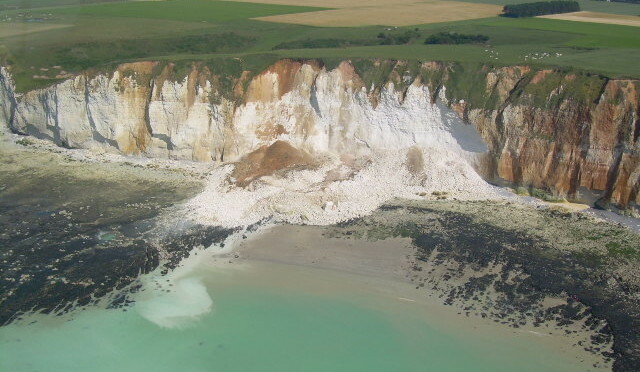 The funds allocated are 15,000 euros from the IAG/AIG plus 3,000 euros from the European Geosciences Union (EGU) and 1,500 euros from the French Geomorphology Group (GFG). In recognition of the outstanding research carried out by the French geomorphologist Jean Tricart (1920-2003) in Latin America, Africa and Asia, one of the grant holders from these regions will be designated as the Tricart Scholar. The Conference on Geomorphology will take place in New Delhi at Vigyan Bhawan. Organized by the Indian Institute of Geomorphologists and open to all scientists and practitioners, it will include scientific sessions, keynote lectures as well as a special Session and an Intensive Course for Young Geomorphologists dealing with ‘Geomorphology Field Training in tectonically active mountain regions’, co-sponsored by the EGU. Field trips will be arranged in various parts of India and neighbouring countries, before, during and after the Conference. The selection of candidates was carried out by a Commission appointed by the IAG/AIG Executive Committee, and priority was given to applicants who intend to participate in the Intensive Course for Young Geomorphologists. 73 applications were received, among which 62 eligible for the grants available. The IAG-grants holders are warmly invited to participate in the IAG First General Assembly to be held at the Conference Venue on 7 November (8.30-10.00). 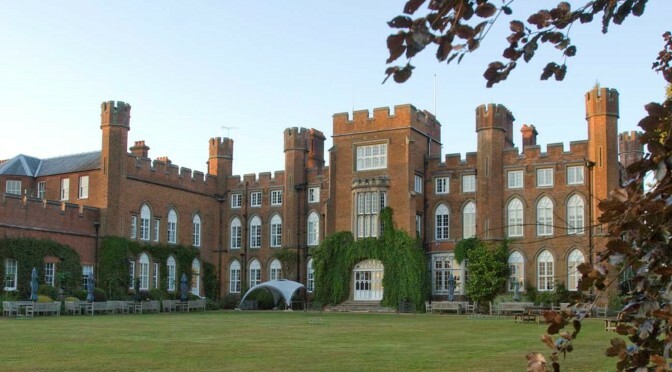 The International Association of Geomorphologists (IAG/AIG) offered 2 grants of 250 (two-hundred-fifty) Euros to PhD STUDENTS in GEOMORHOLOGY from EUROPE (except UK) to take part in the BSG Post-Graduate Training Workshop (Windsor, UK, 5-8 December 2016). According to the recently established IPA-IAG Agreement, the International Association of Geomorphologists (IAG/AIG) offered 2 grants of 300 € to Early Career Researchers to take part in the 11th International Conference on Permafrost (ICOP2016) (Potsdam, Germany, 20-24 June 2016). 12 eligible applications were received for the grants available. The scope of the Training School is to provide an overview of landslides and other geological hazards processes and their complex interactions and to present a state of the art for concepts, research, models, monitoring techniques/technologies and warning systems. Updated knowledge on traditional and innovative multidisciplinary methods and techniques will be presented. Landslides and their triggering mechanisms, namely rainfall, seismicity and volcanic eruptions, will be explored not restricting their role as triggering factors, but considering all as main characters in a hazardous scenario. The course will be held on 4-9 July 2016 in the São Miguel Island of the Azores Archipelago, composed by nine volcanic islands located in the North Atlantic Ocean. Due to its geographical and geodynamic setting it offers a wide diversity of natural hazards. São Miguel is one of the most affected islands by natural hazards, namely by volcanic eruptions, volcanic degassing processes, earthquakes, storms, landslides, floods and tsunamis. Since its settlement, in the 15th century, hundreds of cascade events were responsible for victims and important socioeconomic impact. By this diversity of natural phenomena, this area is considered an important natural laboratory and perfect for the application of several methods and techniques during the course training and field trips. The International Association of Geomorphologists offers 1 grants of 400 euros to favour the participation of PhD students in Geomorphology (under 35 years old) worldwide (except Portugal) in the FORM-OSE Post-Graduate Training School 2016. The International Association of Geomorphologists offered 2 grants of 250 euros to favour the participation of Young Geomorphologists (under 35 years old), who are not from the UK, in the Workshop on Martian Gullies and their Earth Analogues co-organized by the IAG Planetary Geomorphology Working Group. The Summer School is intended for students and early career scientists involved in tectonic geomorphology studies. It aims to offer a comprehensive overview of pioneering techniques, innovative and multidisciplinary approaches for meeting the growing needs of knowledge on both long-term tectonic uplift and sudden geomorphological changes. The Summer School includes lectures (2 days), laboratory and field activities (4 days). A group of experts from different countries will present the state of the art on tectonic geomorphology and related methods. Case studies from a diversity of geomorphotectonic environments will be analyzed and discussed. A rich programme of field activity will be developed both in the Western Alps, symbol of a long-term evolution orogen, and in central Apennines, where recent seismicity (L’Aquila earthquake, 2009) caused casualties, damages and sudden geomorphological changes. 1st Circular_(Updated) – The deadline for EARLY BIRD REGISTRATION has been extended to APRIL 29, 2016! The International Association of Geomorphologists (IAG/AIG) will offer 2 grants of 400 euros to cover the registration fee to YOUNG GEOMORPHOLOGISTS (under 35 years old) worldwide (except Italy) who are willing to take part in the Summer School. The Workshop is organised by the British Society for Geomorphology (BSG) and recognised by the International Association of Geomorphologists (IAG). The course will provide PhD students with elements of training for research and with an opportunity to meet others at an early stage of their training when they were wrestling with the problems of research design etc. There will be sessions about starting research, designing research projects, methodological issues, modelling, fieldwork problems and remedies, presentations techniques, time management, and workshops for project organisation and discussion of individual projects. The International Association of Geomorphologists (IAG) offers 2 grants of 250 (two-hundred-fifty) Euros to PhD STUDENTS in GEOMORHOLOGY from EUROPE (except UK) who are willing to take part in the BSG Post-Graduate Training Workshop. The 8th International Conference on Geomorphology of the International Association of Geomorphologists (IAG) took place in Paris at the Cité des Sciences de La Villette from August 27 to 31, 2013. The main topic of this 8th Conference was “Geomorphology and Sustainability“. 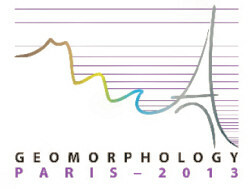 Organized by the Groupe Français de Géomorphologie (GFG) and open to all scientists and practitioners, this Conference included 26 scientific sessions, 5 key-note lectures and one Workshop devoted to Young Geomorphologists. This session welcomed young scientists (PhD students, post-doctorates) who were interested in discussing new approaches and methods in geomorphology (spatial analysis, mathematical modelling, conceptual and quantitative approaches and links between them). Presentations could focus on any component of the discipline and related earth sciences (hydrology, Quaternary geology, soil sciences, etc. ), and be either fundamental or applied. Preliminary results and discussions of fieldwork and methodological strategies (observation, data acquisition before modelling) were appropriate, as well as methodological developments, such as geomorphic mapping through GIS. Equally, numerical simulation approaches such as those linked to complexity theory (agent-based modelling, Cellular Automata) or physically-based methods for specific process representations have been welcomed. 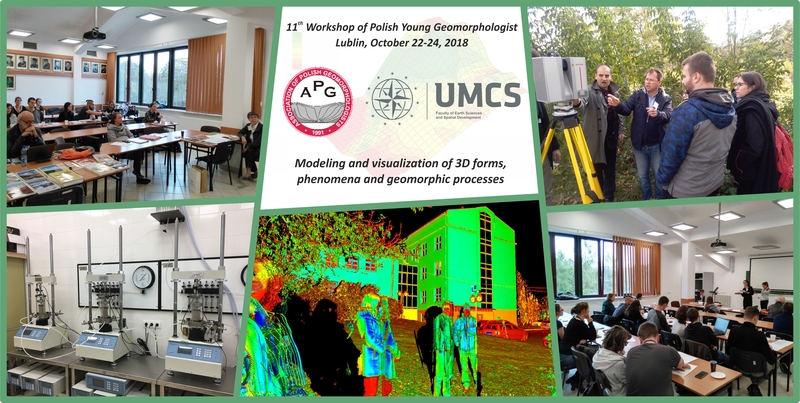 The participants of this session have been invited to participate to the intensive course for young geomorphologists held at the end of the conference (from September 1st to 3rd). The Training School was organized by the European Centre on Geomorphological Hazards (CERG, Strasbourg, France) – which is one of the centres of the EUR-OPA Agreement of the Council of Europe – in close collaboration with the Euro-Mediterranean Centre on Insular Coastal Dynamics (ICoD, Valletta, Malta) and the European Centre on Coastal Risks (CerCo, Biarritz, France). The aim of the course was to provide the participants with updated knowledge on traditional and innovative multi-disciplinary methods and techniques for the analysis of geomorphological coastal instability processes and related hazards and risks.